Most of the popular styles of craft beer enjoyed in America originated in Germany, Belgium and Great Britian. The American styles of these beers are often quite different, for example an American IPA is much hoppier than a traditional British IPA, however there are few beer styles that are uniquely American. That is starting to change with the development of distinctly American varieties like black IPAs and hoppy lagers (or IPLs). For a long time the only beer that was entirely American was the California Common, also called a steam beer. Steam beers are hybrid beers brewed with lager yeast, but at higher fermentation temperatures more commonly used for ales. They were originally developed to compensate for a lack of refrigeration, which prevented traditional lagering in parts of California. While there are relatively few steam beers made by craft brewers, I wouldn’t be surprised to see this style expand in popularity. Baxter Brewing Company in Lewiston, ME recently started brewing Tarnation, their first lager, in the California Common Style. Tarnation is brewed with Munich and American Crystal malts along with Northern Brewer hops, the distinct hop for this style of lager. The beer is available year round in 12 oz cans and on draft. Baxter Tarnation pours an amber gold, crystal clear with a massive white head. The smell is pretty mild, some subtle light malts and a little earthy hop aroma. The taste is crisp, very clean and super easy to drink. There is solid malt character, fresh bread, light grains and just a touch of malt sweetness. The hops balance the beer, adding some earthy and woodsy notes to the flavor, but the beer isn’t hoppy by American craft beer standards. The finish is more crisp than bitter, very refreshing. Baxter Tarnation weighs in at 5.3% ABV, solid but low enough that you can drink a few. 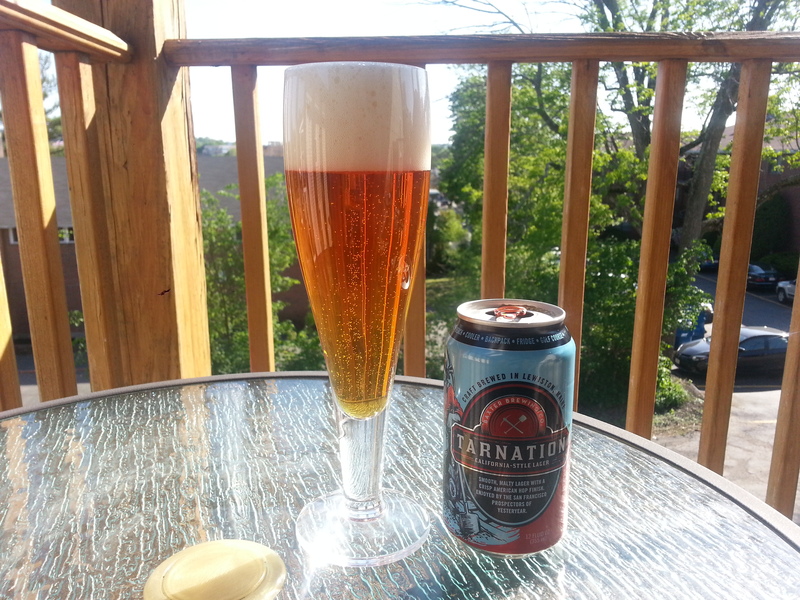 This is a great summer/BBQ beer, easy to drink but full on flavor. Hoppy Boston score: 4.25/5.